Electrical energy powers nearly every electrical appliance in your home. Household electrical equipment includes a broad range of devices including televisions, dryers, air conditioner, heaters, heaters, stoves, ovens, and iron boxes and many more. Unfortunately, some of these devices can be hazardous especially when mishandled. They all probably pose a risk of either electric shock or fire and this implies that you should always follow the various safety precautions when using them. Check out below for some useful general safety precautions on electrical equipment and appliances. • You should always examine your appliances regularly for broken or damaged parts and cords. Before embarking on this kind of task, you are highly advised to first turn off and unplug that particular appliance. • Don’t overload your circuit with many appliances. Limit the number of electrical devices plugged into a single circuit. • When purchasing the so-called second-hand appliances, just ensure they have been safety tested beforehand. Equally, make sure that all the available safety features are working and the device has the recommended plug. 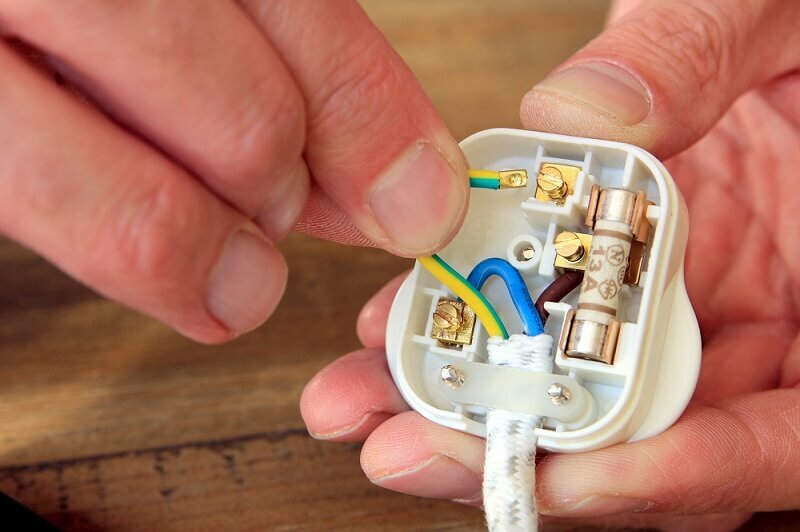 • If a particular electrical appliance regularly blows a fuse, has given you a shock or often causes your circuit breaker to trip, you should disconnect it with immediate effect. Next, have it examined and repaired/replaced by a highly experienced and qualified electrician. • Finally, it is worth to mention that all electrical devices are safe to use provided you have the relevant knowledge regarding its operation. Always train and supervise your family members how to appropriately use the various appliances in your home. Your home electrical wiring system is typically an intricate maze of wiring specially designed to provide energy from your local utility to your home safely and efficiently. For one reason or another, you can occasionally have problems with your electrical system. Nearly every homeowner has experienced a power failure or a related electrical issues. When this occurs, you should first determine whether the problem lies in your home’s electrical system or it is a utility company outage. Unless you are accomplished at and knowledgeable about diagnosing electrical problems, it won’t be easy for you to know the cause of your problem and this means that you should only seek the help of a professional. Most electrical problems usually revolve around overloaded circuits, short circuits and perhaps improper or loose wiring. Apparently, all these seem to be complex issues which can only be handled by the most qualified. For lots of reasons, homeowners ought to never try to execute electrical work by themselves. Due to the serious risks and hazards involved with the use of electricity, only professional, insured and licensed technicians ought to handle all your home electrical needs. Even projects that appear simple may still require the services of a professional contractor. Your electrical system is by far the most dangerous part, and this is because its wiring is not only extremely complex, but unsafe as well. If you didn’t know, it only takes the smallest mistake for a shock or electrocution to happen when working with electrical wiring. Even if you might make it through the repairs successfully, you must know that any small errors can potentially result in detrimental consequences. 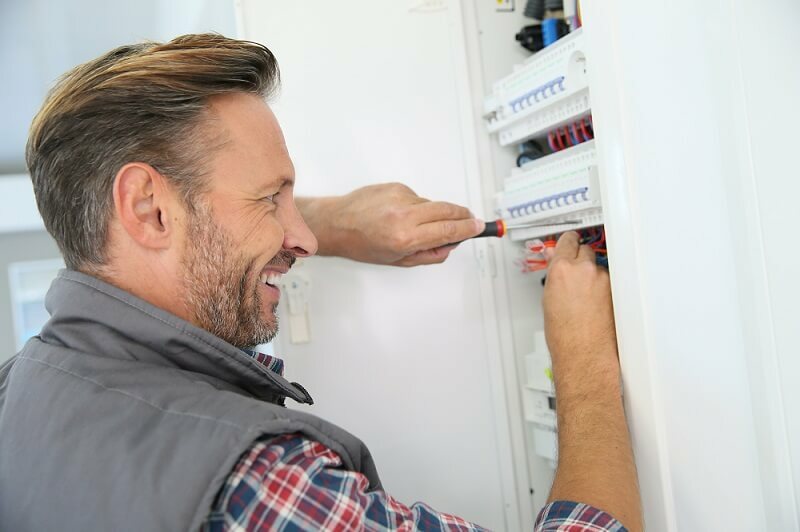 Currently, there are numerous electrical contractors out there and this makes it difficult for you to find the best technician who can handle your electrical issues appropriately. So how do you get the best pro for the job? Only hire a bonded electrician: Have you ever imagined what would happen if the contractor you hire fails to complete the job? Does he reimburse for below-par workmanship or poor performance? Always make it a priority to hire a bonded technician. How long has the contractor been in business? According to a particular study, it was established that one in every five electrical services firms shut down their business each year! This implies that the best possible way to gauge whether a contractor will be around long enough to honour the warranty is to know the amount of time it has been in the business. Many reputable and trusted companies usually define their business tenure. If you didn’t know, companies close as a result of poor reputation and performance only to reopen with a new title! License and certification are a must: The availability of relevant documentation indicates that the person is well-trained and equipped to perform a particular electrical project. Companies that provide high-quality electrical services usually boast of licensed and certified tradesmen.